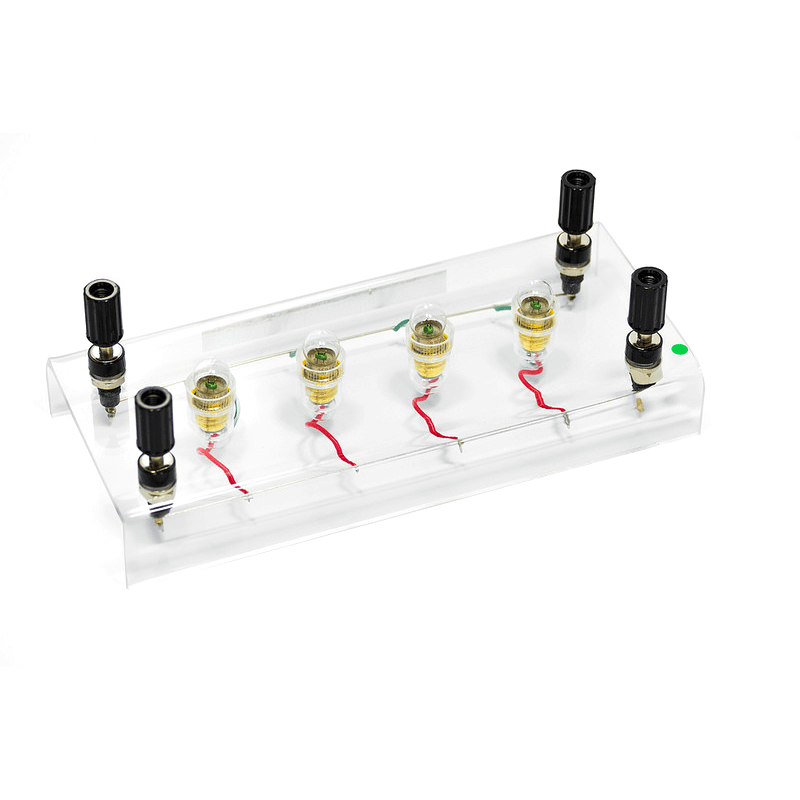 Four low voltage lamps connected in parallel and mounted on a sturdy acrylic base. 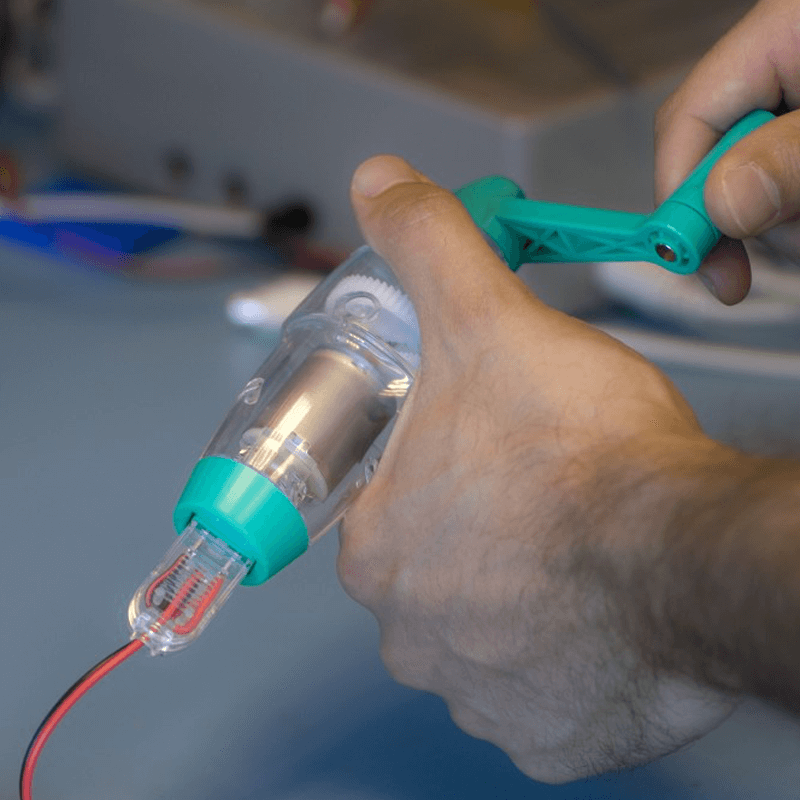 Four colour coded connector posts can be used to link multiple sets together, to connect a power supply and for Voltage and Current sensors. Use a Genecon hand generator to power the unit and feel the increase in power and energy needed to keep the lights on as more bulbs are added to the circuit by simply screwing them into the holders..
Use with a battery pack to study the relationship between voltage, current and resistance. A handylittle kit for studying power, efficiency, and Ohm's law in a simple circuit. Use straight out of the equipment tray, reduces significantly time lost and errors in setting up the practical.